Many passionate kayakers wonder where to find the ideal places to kayak in the US. 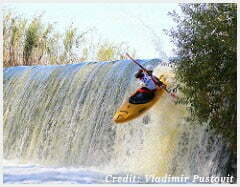 Kayaking is a sport that can be done for leisure, exercise, passion, or for competitions. The activity is a great way to enjoy nature and bond with fellow kayakers. The best place to go are usually the ones that have great weather and a great natural view. There is no specific area of the best place, but the following article will help you in exploring briefly the top 10 best places to kayak in the US. We will also guide you through the whole system of kayaking so that you can have a great experience. People in North America were the first to use a kayak which was back then made of seal or other animal skin. The word kayak was used as a hunting boat in its early days. Larger kayaks were used for transporting people and their possessions. Kayaking was first recognized as a water sport in the USA in 1936 when during the Berlin games it included kayaking in the Olympics. However, it wasn’t until the 1950’s that it became a very popular sport. They were now an increasing number of whitewater sports that included kayaking and hence, practice spots were made and ran by professionals. With the Olympics, kayaks have become more popular, and various forms of the boat are made for different purposes. Kayaks are also made with more precision for different bodies of water and various purposes. 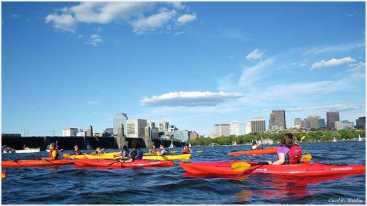 Today, there are several places in the US to go kayaking, either for fun or competition. The Arkansas River is one of the best places to kayak for beginners. There are a variety of other water rafting adventures to go kayaking. 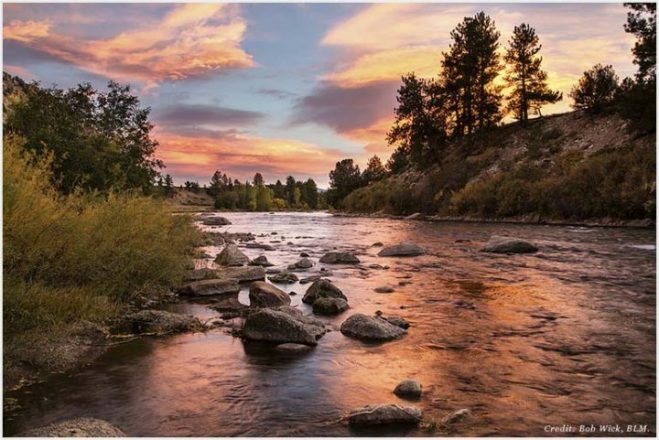 The Arkansas River has more than 9000 miles of streams which allows users to choose their favorite spot based on their skill and age level. One of the reasons why it is considered great is because of the mountain streams that provide a great view and fine temperatures. In some of these lakes and streams, you can also enjoy your time fishing in certain seasons and with a specific license. The Arkansas River also has a variety of campsites that allow campers to enjoy many different activities including kayaking. These campsites have services like drinking water, grocery stores, gas, rentals, and other camping services available at a variety of prices. Many training centers prefer kayaking in easier streams to help their students learn how to kayak. There are a couple of bread and breakfast places available around the area which allows people to spend their weekends in a more relaxing and luxurious way in nature which makes one of the best kayaking vacation options. The Colorado River hosts kayaking trips for beginners and for experts and people from all around the country like to come to enjoy the river and its sites. The quiet water allows leisure boat rides and kayaking opportunities on the river while enjoying the natural landscape. The river stretches out to be at about 1450 miles which cross over five states. There is a variety of sections of the river that is dedicated to kayaking based on skill level. It is important to keep in mind the level of the water differs in certain areas, and people with the right skills should know how to deal with these waters. One of the best parts of this river is that you can also go white water rafting. There are plenty of different competitions that take place annually. Many companies and tour guides take groups of people for the whole day during the season, and the experience is breathtaking. 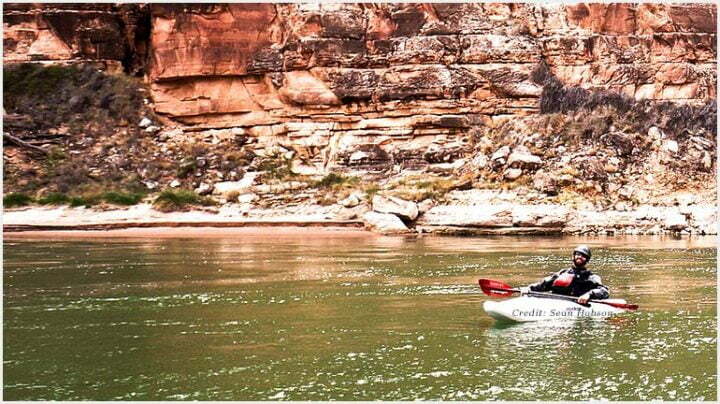 The best time to kayak in the Colorado River is between April and September. You will love the variety of activities that are held in this river, and it is a great place for everyone. 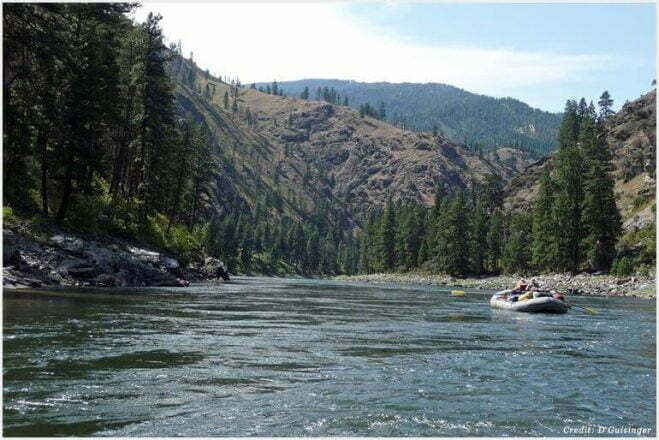 The greatness of the Salmon River in Idaho is one of the reasons it is called the river of no return. This great river is also one of the top kayaking destinations in the US because of the amazing view and the serenity this place offers. There are several beaches and a big canyon which makes the place better for vacations and long weekends. Many companies hold about two week-long trips with stops, to make a more enhanced kayaking experience. While kayaking is not preferred at night, tours held by licensed professionals take tours at night too to experience another level of peace and belongingness to the nature surrounding the river. The canyon on this river has great hiking spots and campsites where you will always find people enjoying their stay with family and friends. The area is a large wilderness area, but there are still a few comfortable lodges that help in making the area a vacation spot. The Salmon River is for people with a skill level of three and above since the river has tricky water flow. Keep your licenses and certificates here to make sure that you can pass the checkpoints of the river. 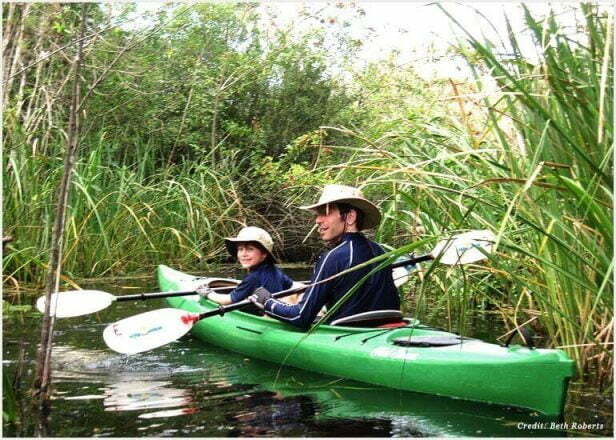 The Everglades are used for a number of different paddling opportunities and tours around the area. One of the best parts of the Everglades is that you can tour around the main points on the water with your family and friends making for a great experience. The Everglades national park is a spot which allows people to enjoy their evenings and their time with family and friends. Some areas of this park also have a campsite, and the river can be used for kayaking and other water sports. Many companies offer overnight camping trips that include kayaking adventures. The best part about Everglades is that even though it is mighty, beginners, as well as advanced level kayakers, can enjoy it. You can easily find rentals, or you can enjoy your own kayak after a quick inspection. 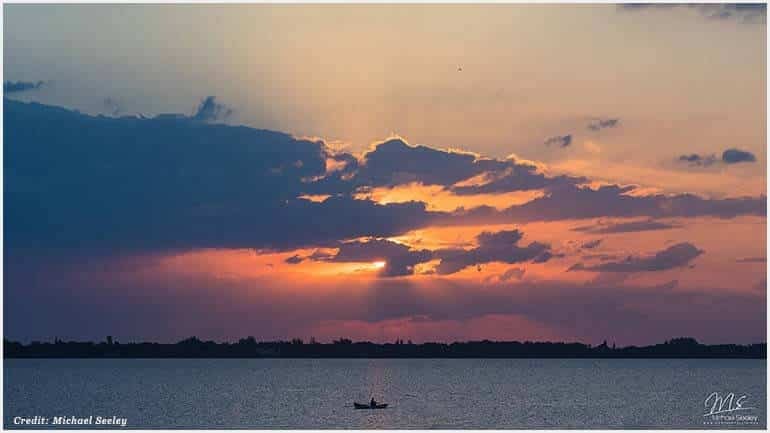 You can also enjoy the seaside on the Everglades where you will find people relaxing under the sun while kayaking and canoeing in the open sea. It is a great place to go for trainers and coaches that you can find online or on the spot to ensure that you remain safe. These people are licensed and allow you to have a better experience. 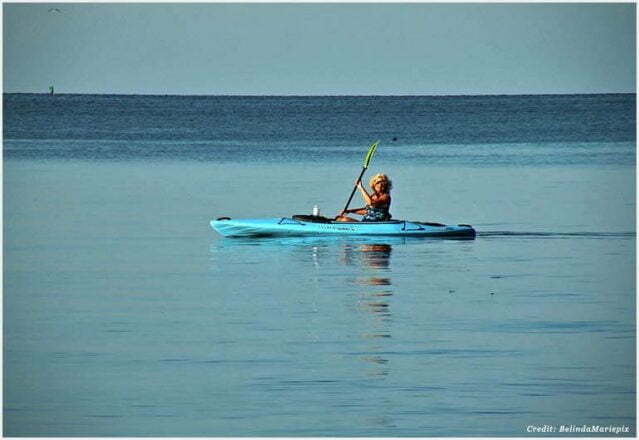 The Chesapeake Bay consists of shallow bodies of water that are perfect for beginner kayakers and for people that are training and need safer bodies of water. The water is calm which allows beginners to enjoy a much more controlled kayaking experience. The tributaries of this bay have become one of the best places to kayak in the US for beginners and for people that want to do it for leisure instead of handling the rough and tough waters. The shorelines include beaches which are a great place to hang out with friends and enjoy time canoeing and kayaking in the water. The landscape here consists of a few natural areas and a few surrounding boat ramps that provide a great view to look at. Several water trails have been established that are used for canoeing, kayaking or other forms of water sports and activities. The bay region has many different resorts and lodges for people to stay overnight for long weekends. If you want to enjoy your time kayaking, you will have to bring your own since there are no rentals available. The Tyger River has developed a reputation which aims to conserve, educate, and use the river for recreational purposes for a long term. This initiative has made this place one of the most popular places to enjoy kayaking and other water sports safely. The river has several areas of which a few are considered safe for beginners while the others can be very tricky and require certification of expertise in water sports. The Tyger 10 Nature Park was opened to the public in 2012. The river has a great main point and other points along the way to take a break on the shore. More access points are being developed so that the river is used in an orderly fashion and is reserved for recreational activities. Currently, there are no rentals available on the spot which means you have to arrange your own kayak, but it is thought that in the near future, there will be rental options and campsites in this park. The Tyger River has many different scenic views, but the most popular one is in the last four miles of North Tyger River where it merges to the south Tyger River. However, this area is reserved only for experts since there are many walls and rough water currents to fight while kayaking. 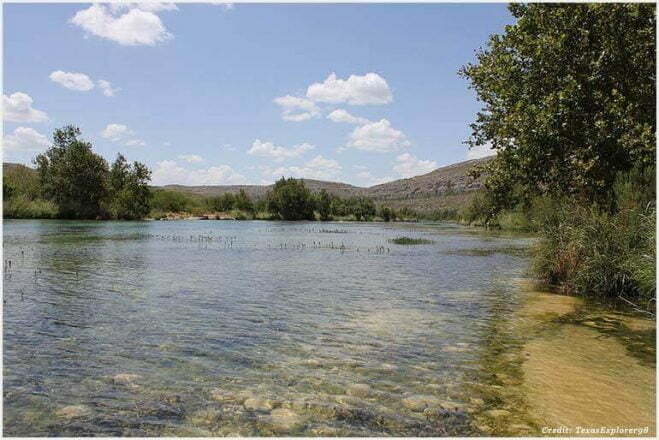 The Devils River is located in a very quiet, however dangerous place in Texas. The river is not too big, but it is very dense and very rough which makes it perfect for expert kayakers. In fact, it is not recommended that people without a certification enter this place. The water is extremely clean with a little green and blue hues where the springs are close by. It is usually like a pool with rapid rivers where there are places with steady water that are connected by the rapids. There are also places to go fishing which makes it a great location for spending a holiday. The landscape of this river includes the Chihuahua Desert, Edwards Plateau, and the Tamaulipas Desert which makes the scenery very unique and beautiful. It is almost a miracle that the river can run between two deserts, but this makes it a very desirable place to visit because of the scenery and adventures it offers. The Indian River Lagoon is located in Florida and is very popular because of its unique location. You will find a wonderful temperate and tropical ecosystems here along with a shallow estuary that is home to plenty of fish, birds, and marine animals. If you want to explore this location, then the best way is it kayak through the river and find out the best sceneries and the great natural feels. Kayakers here can choose different places for fishing venues, mangrove shorelines, sand potholes, channel edges, and even docks. The clear water in each of these areas makes for unique scenery. Kayakers can also camp on special campsites overnight to start their day fresh and early. People come here to enjoy overnight picnics, grills, fishing, kayaking, canoeing, and site seeing. 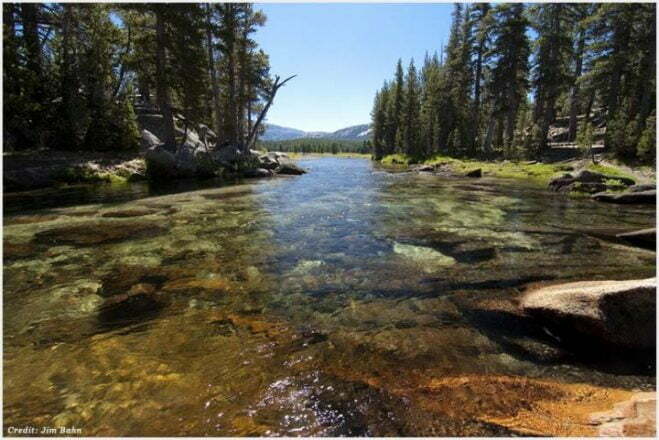 The Tuolumne River is a perfect whitewater rafting area. 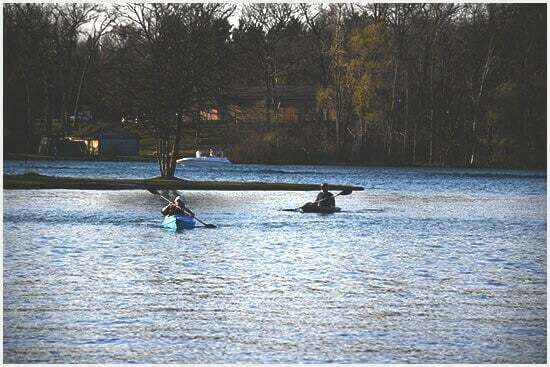 It has rapids that are about class three and four which means that is suitable for experts and intermediate kayakers as they can be dangerous for beginners. The river flows through to the California Foothill Canyon which is an adventurous spot for people that find peace in exploring. The access point consists of wilderness areas where there are a few natural campsites that are made for kayakers to enjoy their trip overnight or for people that love to spend their time in the wilderness. You will find a few local gear shops in the area where you can enjoy rentals and other sorts of small services that will make your trip better. There are not many people here to guide you, but you will find life coaches and safety rails in the area. The Gauley River in southern West Virginia is a river with high levels of rapids and strong currents. These currents make the river perfect for expert kayakers. The river is 25 miles and passes through scenic views. 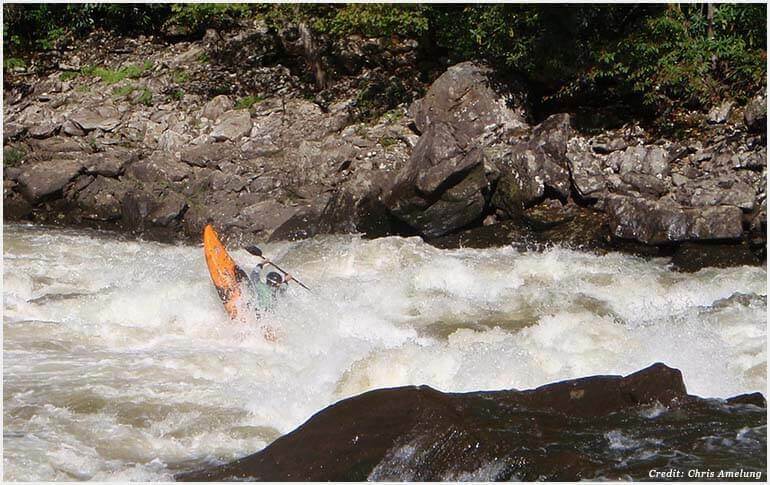 The lower Gauley River is tamer than the upper part which is why it is suited for intermediate kayakers; however, the upper part is highly dangerous to both intermediates and beginners. The river is surrounded by wilderness and plantations. There are a few endangered plant species that are being restored by the government. However, for full protection, these areas are only to be looked at from a distance, and the only access point is the Gauley River National park’s few areas. People who choose not to kayak spend their time picnicking in this area which makes it one of the most popular spots to hang around with your friends and family. Since there are a couple of endangered species, the park is not open to campsites. In most places where temperatures are extreme, there is a defined time for kayaking. Experts believe that the beginning of spring is a great time to start kayaking as the water is mostly under control and as a bonus, you will have great views of the surrounding area. Up until late spring and early summer, kayaking seems like a good idea until monsoon season hits and the water gets rough for sports and leisure kayaking. In some places around the world, this may be different. Places where spring is a lot tougher than usual, the best place is to begin in early autumn and stretch it to about late season or early winters. You may be colder than you would like to be, but it is a great option. The best time of the day to enjoy kayaking is early in the morning before noon, or a little later in the afternoon just before evening. According to experts, the worst time is during the night since the boat tends to tip easily and the chances of getting lost are higher. The following are a few local kayaking training centers around the USA and a brief description of each. The international sea kayak guide association has a variety of modular systems for teaching various levels of kayaking on the sea. The association has locations around the USA so that the student can select their preference. The association allows users to practice in shallow waters and even in the sea with a professional. The sprint training and resources center is based in Florida and provides one of the greatest training services in the USA. Their kayak club allows the community to give back through the money that they make with the training. Kayakers from a very young age can join the program and learn in a short time and then be trained in the water. You can enjoy the various competitions among the students to encourage healthy activities. The US national whitewater center helps in promoting active lifestyles through water-based activities. They have a huge area for playing these sports with professionals teaching children and adult of every age and according to their skill level. They have sections that allow various activities for relaxation, and where one can learn how to kayak and other water sports according to their age with coach supervision. They have group lessons as well as individual ones to help with training. The following are the top places in the USA where you can camp and kayak. These places help the user become closer to nature. This natural forest is a great campsite along a waterbody that makes you feel close to nature. The surrounding sights are full of glaciers and orcas. Only about one-third of this forest is rock and ice while the other is filled with water, animals, plants, and land. You can start your day with water activities at about nine in the morning and work your way to up to six in the evening every day. Aside from kayaking, there are several other activities that you can enjoy here like site seeing and ranger programs. The juniper run at Ocala national forest is one of the most popular campsites in Florida. 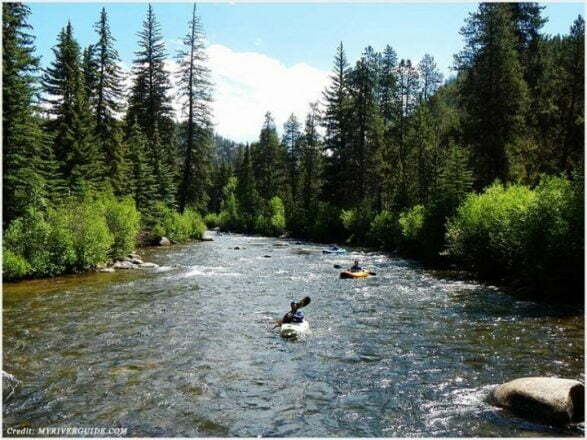 It is named one of the top canoe runs in the United States and is a narrow waterway while it is surrounded with a dense forest. There are canoe rentals available in the area, so you do not have to bring one yourself when you go camping. The campsite has restrooms, drinking water, and even picnic tables available. Lake Chelan is one of the most dominant lakes in Washington. It stretches for about fifty miles which makes it the best place to kayak for experts and has about 25 different campsites to enjoy. You can enjoy bringing your own boat or getting a rental and even go swimming in the waters with a lifeguard watching over you. This lake stretches out to some smaller lakes as well which is why kayakers get to pick their own spot and go for long kayak trips or short ones. Kayaking in the USA is a great experience and it becomes better once you have the perfect place. The USA is filled with a number of places where you can enjoy the scenery and go kayaking. If you are interested in the sport and do not have the training, you can simply go to the various training centers and participate in programs that are done throughout the year in many states.